This blog isn’t really about me, so I try not to talk about myself too much. But here’s a little news: I’m now an assistant editor at First Second. 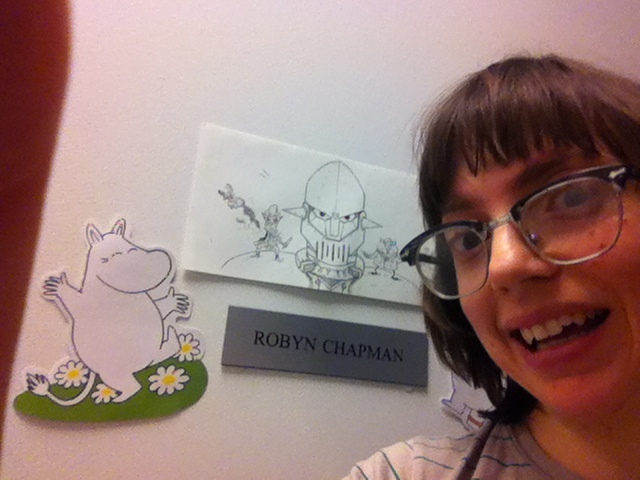 I’ve got a nameplate and everything (with moomintroll and an original Jon Chad drawing). I’d been working at the First Second office one day a week since August. At the end of the year I got the opportunity take on this editor position. 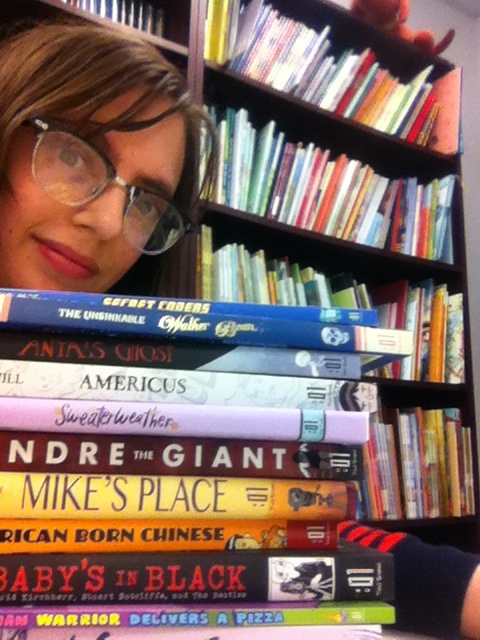 I’ve worked for a few comics publishers in New York, and I’ve never found a better fit than this. I love their books, and I love the team. But I did have to make a hard decision: I had to step away from my weekly gig at Desert Island. (And sorry, no, you cannot have my old job. 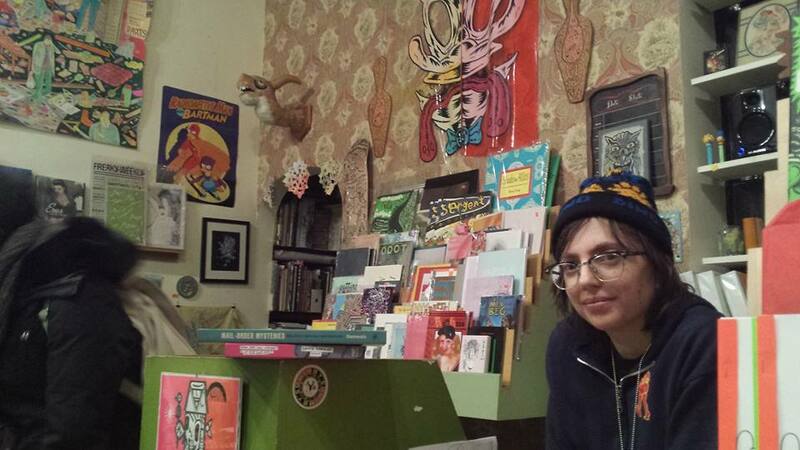 Tyler Boss, who started working for Desert Island last fall, has taken over my old shift.) I’ll still be at Desert a couple of times a month, working the register and handling the consignment. It’s hard to walk away from the coolest job in Brooklyn. For those of you who are keeping track, I still do paralegal work a few times a week and cat sit regularly. I’m still a very busy person. To be honest, I only have time to blog on my lunch break. But I’ll keep it up.